Sometimes it is lonely at the top. That is why Women on Wings also provides a platform to the CEO’s of its partners where they can discuss challenges and solutions with peers who share the same perspectives. 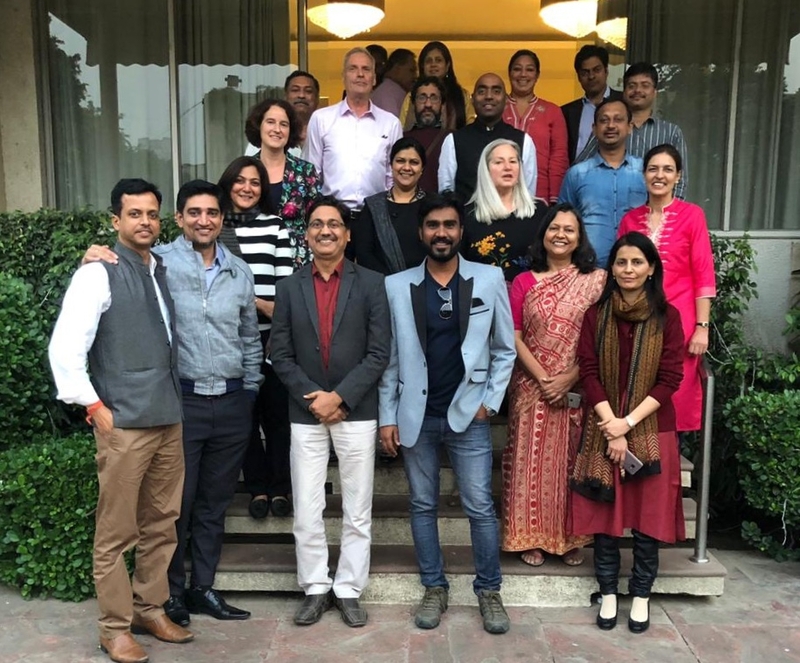 On November 30 and December 1, 2018, thirteen CEO’s joined Women on Wings’ CEO Summit in Gurgaon. Three specialists took the CEO’s on a journey which led them to impact investing, the Pyramid of Lencioni, and how to build the Second line of management. These topics, brought by Women on Wings’ experts in separate interactive workshops will help them in running their enterprises even more successfully. Dimple Sahni, managing director Impact Investing at Anthos, gave insights in the world of impact investors. Annemarie van Holstein, partner at Ortelius, introduced the Pyramid of Lencioni, a team development program which improves team effectiveness and productivity. Marlies van der Meulen-Sahni, managing director Polygon, shared her vast experience in growing and developing companies, change management and how to create the second line of management. All CEO’s shared very positive feedback and requested to have 2 such summits per year.